Is everyone enjoying their summer? I know I am! 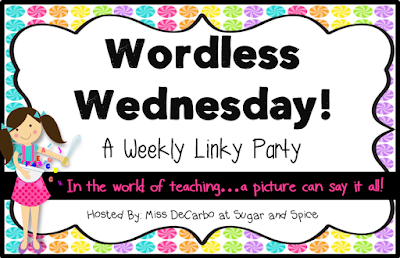 I'm taking a break from all the book reading I've been doing to link up with Mrs. DeCarbo for Wordless Wednesday. One of my classroom/professional goals for this upcoming year is to instill a growth mindset in my students and make sure they all know how and why their brains work. One of my teaching tools for this is picture books throughout the year. 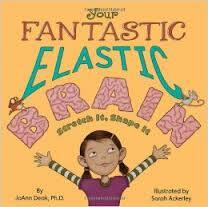 A favourite book I use is "Your Fantastic, Elastic Brain" by JoAnne Deak. What are some books you use for teaching about the brain and a growth mindset? You're welcome, Kathleen. Thanks for stopping by my blog! Thank you for the book suggestion! I will definitely check it out. I'll have to find and order that one on Amazon. I just got The Most Magnificent Thing. I think that book could be used for growth mindset too. I have "The Most Magnificent Thing" also. I think it's a bit young for grade 4 - but would be perfect for 1 or 2! Looks like an interesting read! I was a psych major in undergrad, so brain stuff is exciting to me! I'll have to check this out. You won't regret it - lots of good information in this book!